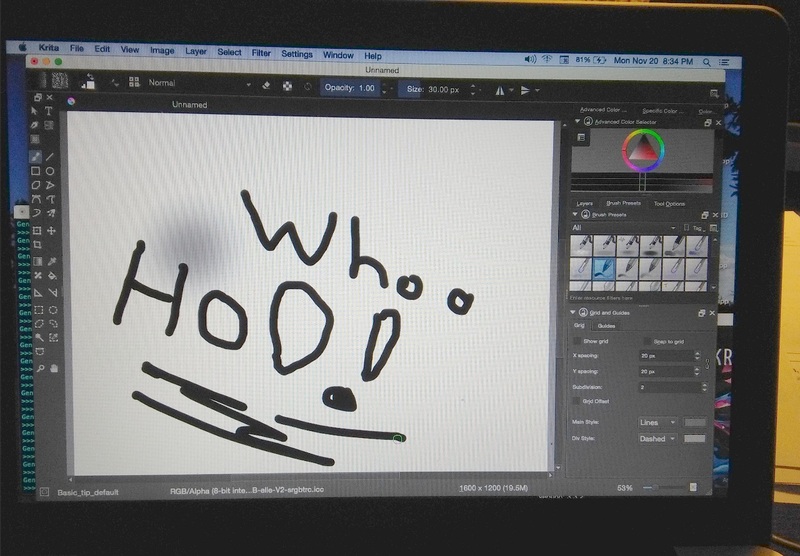 Here is s a fairly high-resolution photo of Krita running on a Macbook under MacOSX 10.10.5 (Yosemite). I downloaded it as the .dmg file (an installer image) from the krita.org website. It needs to have a three-button mouse plugged into the Macbook (in this older version of MacOS) to work right, but with a USB mouse (I used an old Microsoft optical mouse), it seem s to run ok. The above image is my very first drawing in Krita.